Christine and the Queens is currently occupying high positions in charts all over the world and has also become critics’ favorite. The French pop phenom and singer born as Héloïse Letissier is also a songwriter and producer. She released her debut album Chaleur Humaine in July 2014 and her second album, Chris in September 2018. She is garnering attention in the industry and the world at large, creating her own unique path while crushing the industry’s gender norms. The rising star was born Héloïse Letissier on the 1st day of June 1988 in the French city of Nantes, France. Her parents were academic; her mother teaches French and Latin in a middle school and her father, Georges Letissier teaches English at the University of Nantes. One of the privileges she had as a child was the extensive literature she had at her disposal. While her growing up years may look rosy from the outside, Letissier battled loneliness and social awkwardness which she combatted by retreating into literature. She read works of writers like Sarah Waters and Judith Butler who became her sources of inspiration and served as a reference in her youth. Subsequently, she was taken in by the art of make-believe and would later study theatre at École normale supérieure de Lyon (ENS Lyon). Next, she moved to Paris in 2010 and was studying to be a stage director when a catastrophic breakup and an expulsion from school plunged her into a deep depression. She then fled to London where she was rescued by a troupe of drag queens Soho’s den, Madame Jojo’s nightclub. Finally, after years as a loner, Héloïse Letissier found a home. Following her discovery of the drag queens, Letissier was inspired by their no-nonsense and carefree attitude to create a freaky stage character known as Christine. They helped to rebuild her and also accompanied her to her early concerts. They then became her “Queens” as a back-up band. Eventually, Christine and the Queens was born and Christine soon morphed into a pop star. She adapted to the stage, which she considers her new home because according to her, anything can happen and still seem fine. She learned how to live above the anxieties in her life there on stage. She released her first EP, Miséricorde with the hit iT in 2011 and in 2012, she signed to the independent record label Because Music. Miséricorde was followed by another EP in 2012, Mac Abbey with Narcissus is Back and Cripple as minor hits. Then, recognition and accolades started pouring in and Christine and the Queens won the Best Discovered Act known as Découverte du Printemps de Bourges at the Adami Premières Francos 2012 award. With her presence becoming entrenched in the arena, Christine and the Queens had multiple tour support slots as well as hard grafts. Her third EP titled Nuit 17 à 52 came in 2013. The project launched her into the chart occupying phase of her career. With the help of its title track, she garnered her first charting on the official French Albums Chart SNEP. In July 2014, she released her widely acclaimed first album, Chaleur Humaine (Human Warmth) in Europe. The album is better known as Christine & The Queens in the US. It contains the singles Saint Claude and Christine which became her biggest hits as well as occupied high chart positions all over the world. Moreover, the album was named best album of the year by The Guardian, The Independent, Mojo, and NME. Christine was re-released in February 2015 with English lyrics and named Titled in the US as an introduction to her first English EP, Saint Claude. It was released in the UK in 2016 and reprised its chart-topping character. Also, it was named one of the ten best songs of 2015 by Time magazine. She also released another EP, Intranquillité (Unrest) in 2015. In September 2018, she released her self-produced Michael and Janet Jackson‘s inspired album, Chris. So far, she has released two albums, 8 EPs, and more than 10 singles. 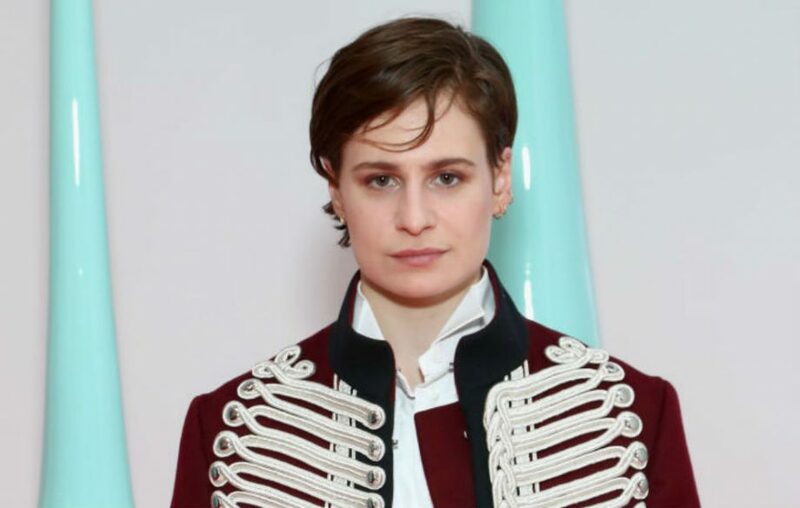 Christine and the Queens counts Soul Train soundtracks, artists David Bowie, Christophe, Kanye West, Kendrick Lamar among her musical influences. Michael Jackson is her favorite male singer while Patti Smith and Kate Bush are her female favorites. Letissier fell in love with a woman as a teenager, at the age of 17, and five years later, she fell into depression followed by a quest to define her sexuality. After years of struggling to identify herself, she seemed to have finally discovered herself. She identifies as a bisexual-gay rather than bisexual 50-50, and in 2014, she came out as a pansexual. In her new identity, Christine has the courage and creativity to create a life outside the status quo, though she still feels the pain that comes with choosing a path other people don’t understand. 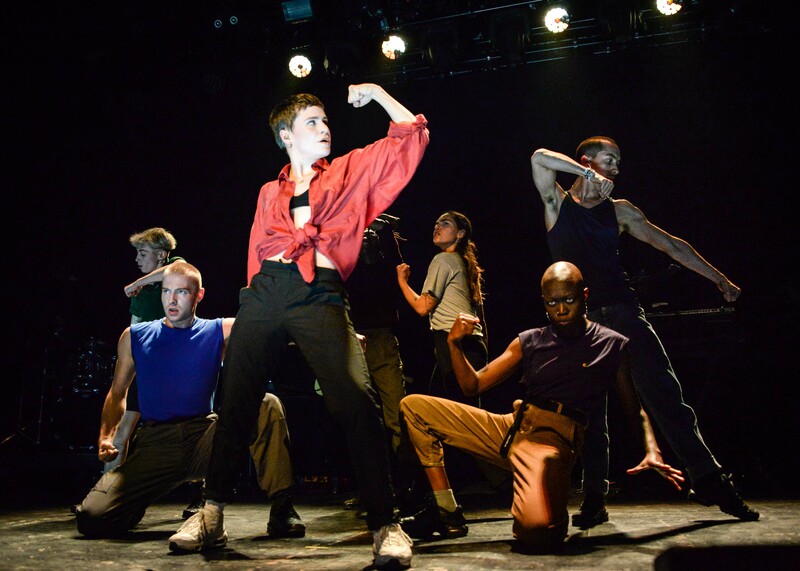 Christine and the Queens has since evolved into her androgynous, non-sexualised alter ego, Chris, a young boy dreaming of being Beyoncé and idolizes Madonna. Although she works in a male-dominated industry, she’s not afraid to fight and guard her corner, while sympathizing with auteurs such as Grimes and Björk.